My New Novel is Out Now! As you may or may not know, in addition to my career as a digital marketer, I also am a writer in my spare time. While I do my best here to keep the two somewhat separate (and keep the focus on this site primarily to digital marketing, UX, etc) I would be a pretty bad marketer if I didn’t announce my new book here. So, today I officially announce that my new novel, A CONFESSION, is now available. It is published by GenZ publishing and currently available through Amazon, with additional outlets coming soon. 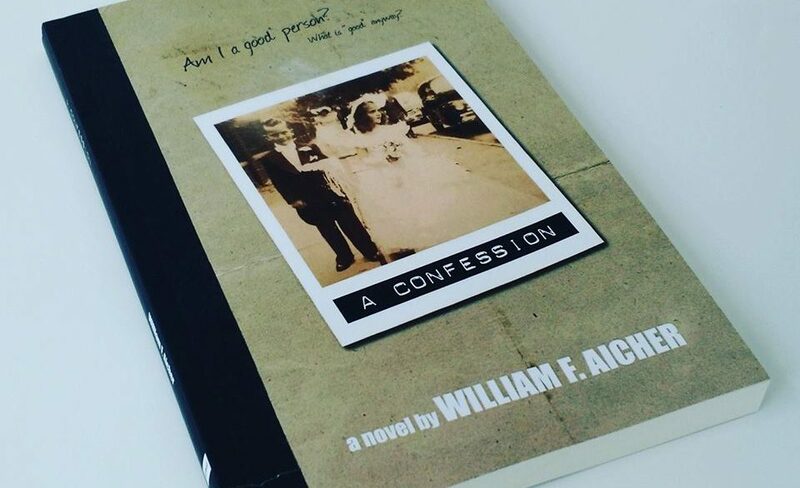 A CONFESSION is a look inside the mind of a nameless man struggling to find meaning in a life he now questions. Journey with him as he navigates through his crisis by recounting the choices he has made to the one person he is able to make listen. His falling in love with a millennial, a glossy mirror of who he used to be, just adds to his life questions. This timeless internal struggle explores the very definitions of arrogance, freedom, regret, ego, control, public humiliation, and blackmail in the digital age. In this fictional memoir-style novel, William F. Aicher is influenced by the existential works of the likes of Camus and Sartre with a dash of Bukowski and a generous helping of his own refreshing voice to create a book for the ages.